We here at Ghastly Grinning are big supporters of -- and are always championing for -- diversity within the horror genre - whether it is people of color who write or direct, LBGTQ people giving their voices to the genre or strong female characters owning the screen. Diversity equals different points of view, which means more original and exciting storytelling and more interesting cinema. That is something all of us should embrace with open arms. In February of this year, it was announced that Darren Lynn Bousman (Saw II-IV, Repo! The Genetic Opera) was set to helm the female-driven horror film St. Agatha, which started it's shoot in Atlanta the same month. “I have always been drawn to narratives with strong female characters. In St. Agatha the writers have constructed a literal convent of interesting and unique women put in dramatic, suspenseful and even tragic positions.” said Bousman about it earlier this year. Today, Deadline reported that Octane Entertainment has acquired worldwide sales rights to the film, that is now in post-production. St. Agatha is set in the 1950s small-town Georgia and stars, among others, Carolyn Hennesy (Dawson´s Creek, True Blood), Courtney Halverson (True Detective, Unfriended) and Sabrina Kern, who is making her feature acting debut in this film. The film follows a pregnant con woman named Agatha who is on the run and seeks refuge in a convent. What first starts out as a peaceful place to have a child turns into a nightmare as silence is forced, dark secrets are masked, and every bit of willpower Agatha possesses is tested as she learns the twisted truth of the convent. 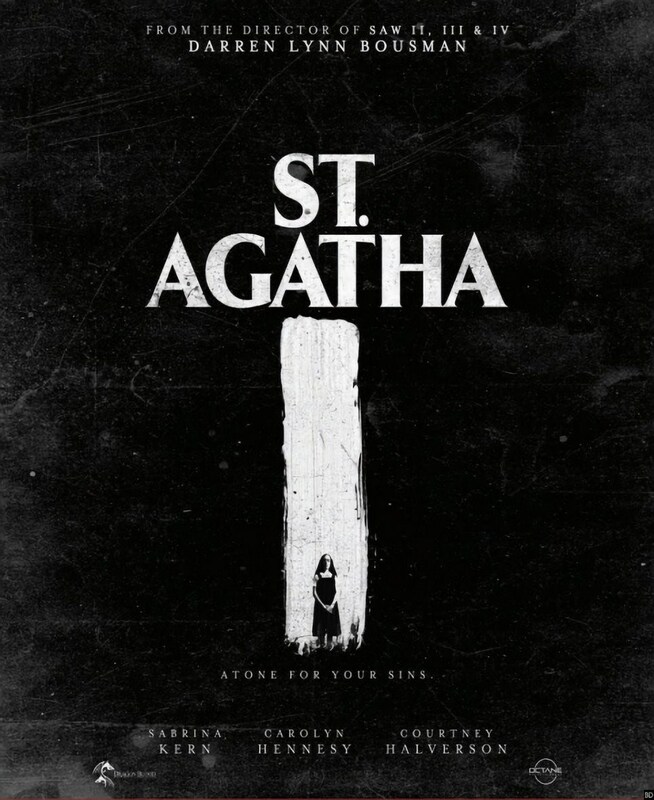 As of yet, no release date has been set for St. Agatha, but keep an eye on this spot for the latest updates on it.